JM Wedding05 - template designed by studio designers Joomla-Monster specifically for CMS Joomla! Version 2.5x. The template contains only one color scheme and style for six modules pages on the site, but, despite this, many sites use his name. 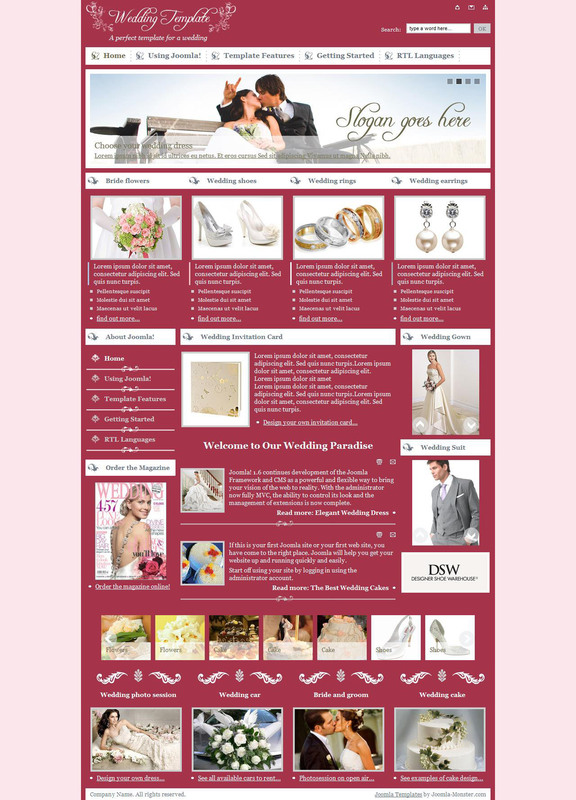 The template is intended for creation of sites for sale, advertising and wedding accessories sites of marriage agencies. In conjunction with the template developer website receives image rotator DJ ImageSlider, providing a simple and easy work with photos pages. Template works correctly in all known browsers and on all mobile devices.